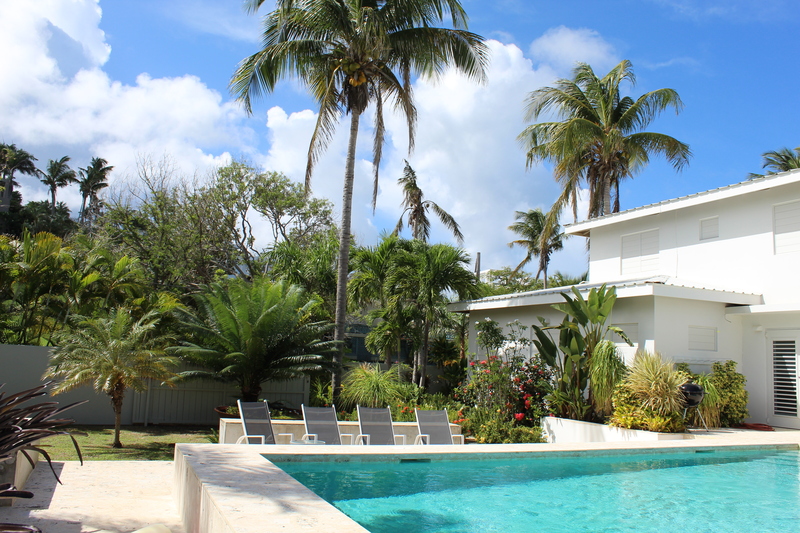 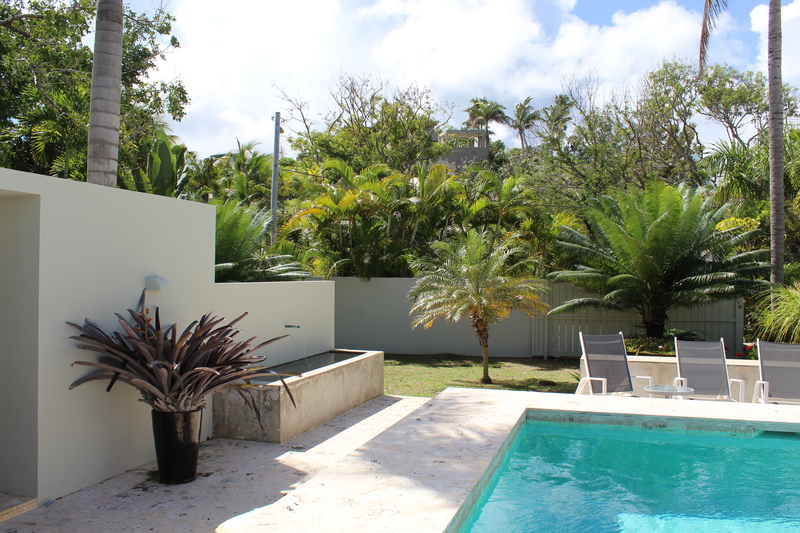 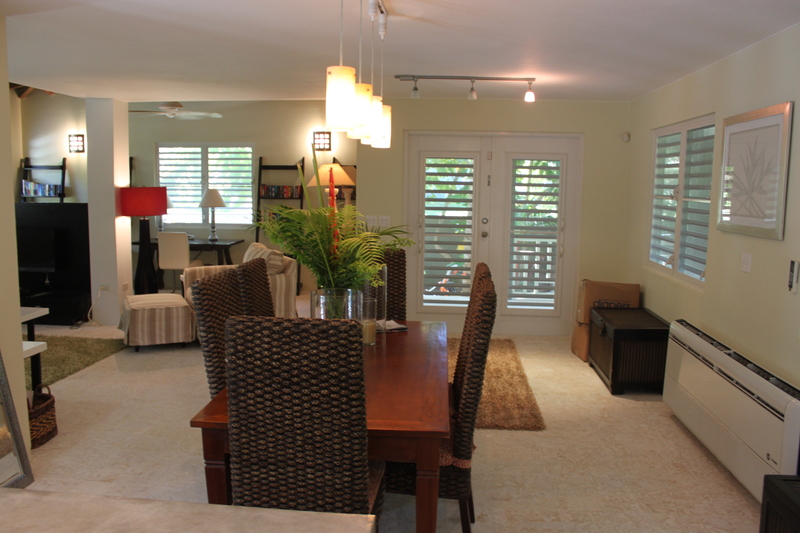 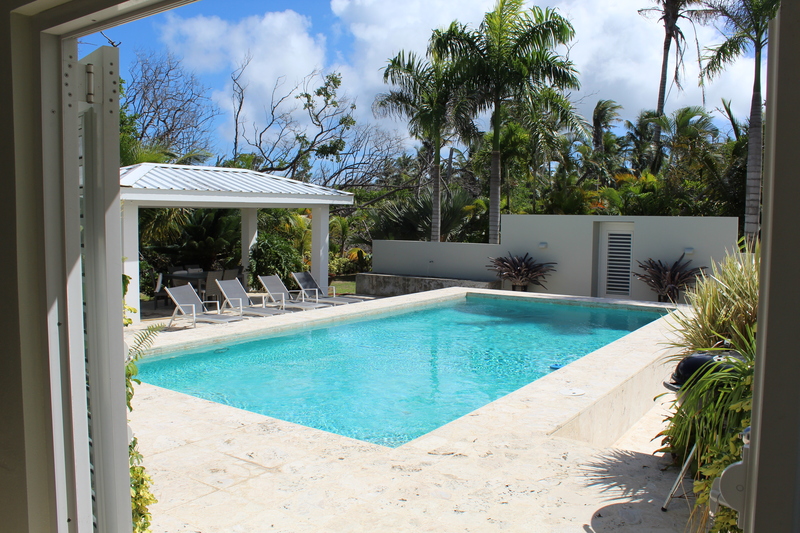 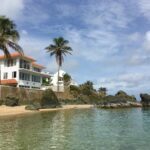 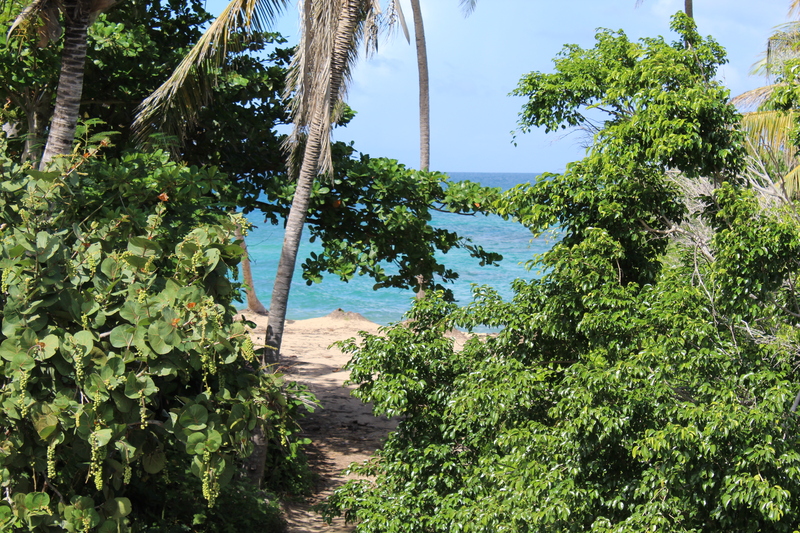 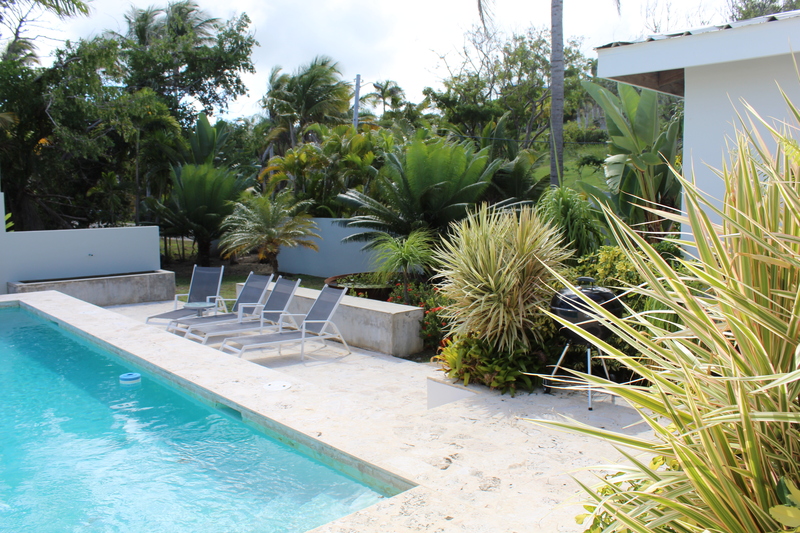 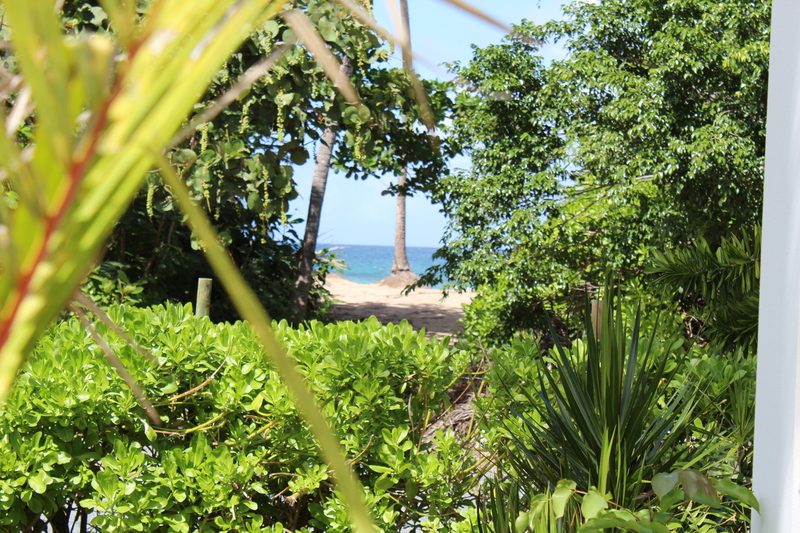 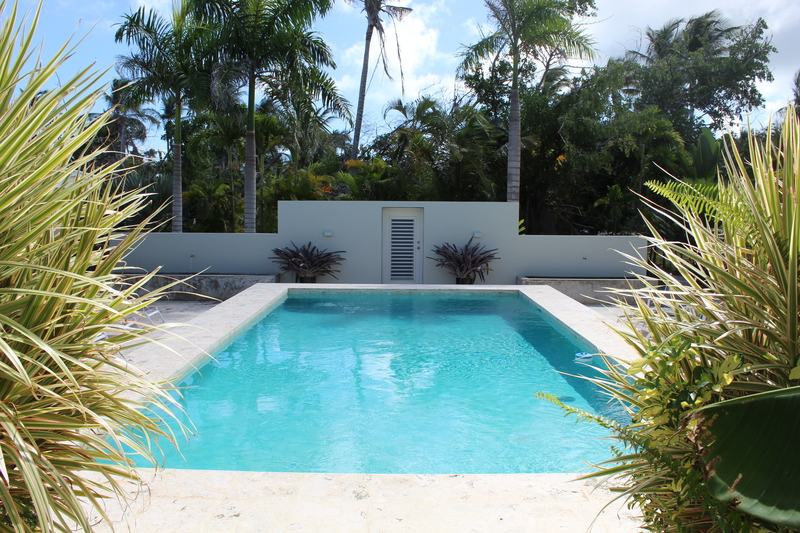 Sea Patch is an oasis in the heart of the Beach side neighborhood of Vieques island now offered for For Sale for the first time. 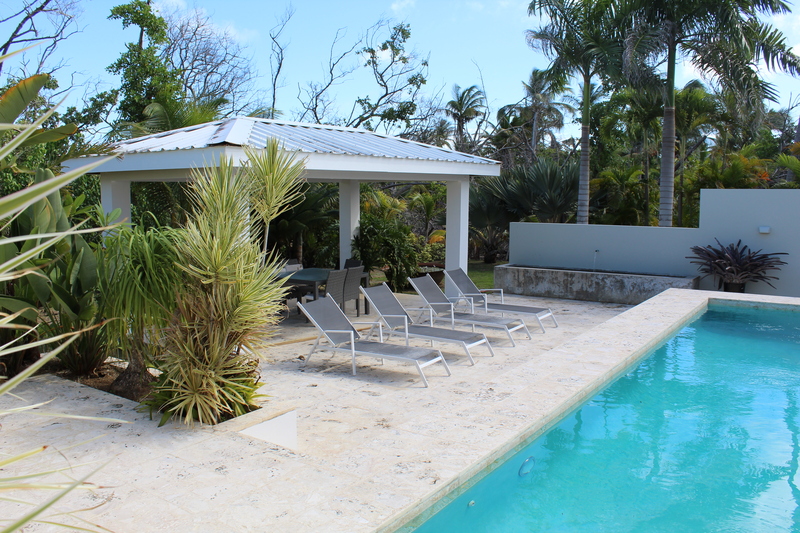 Located only steps from wonderful La Chata beach and surrounded by some of the island’s wonderful estates this is a unique and special opportunity. 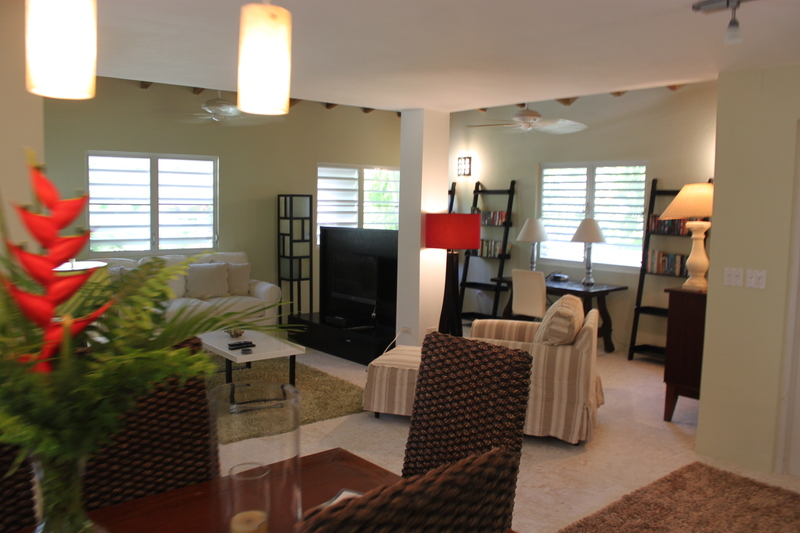 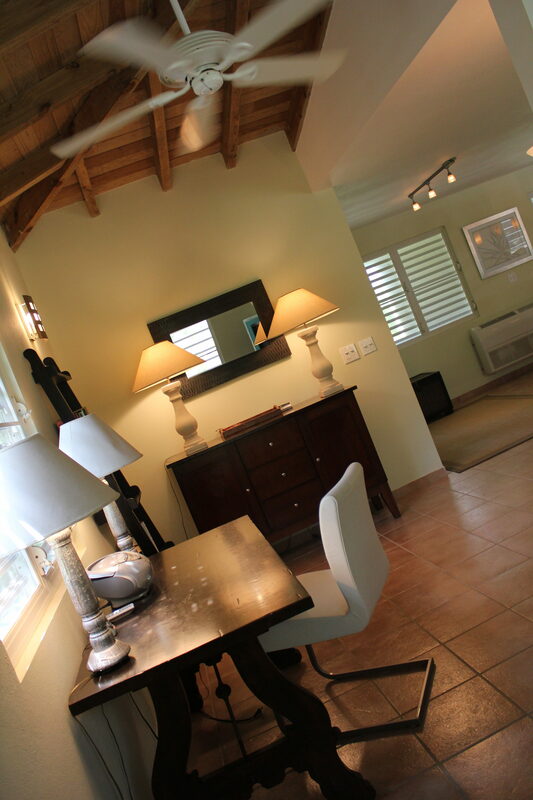 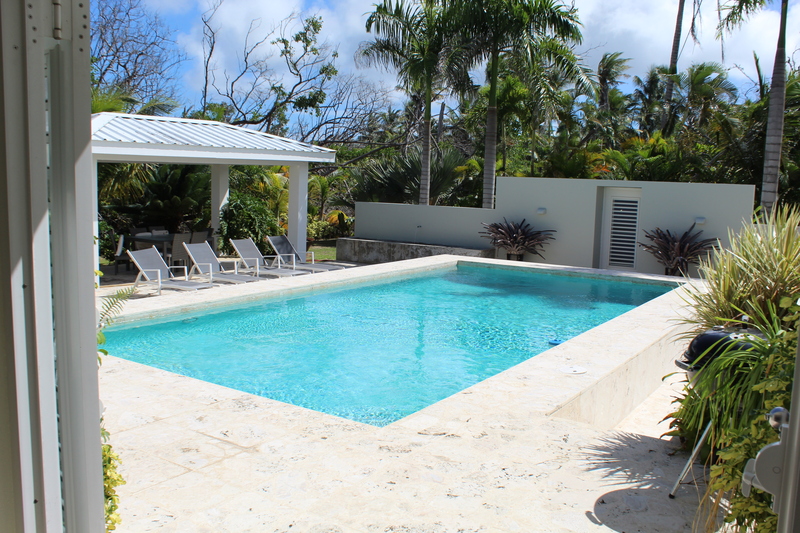 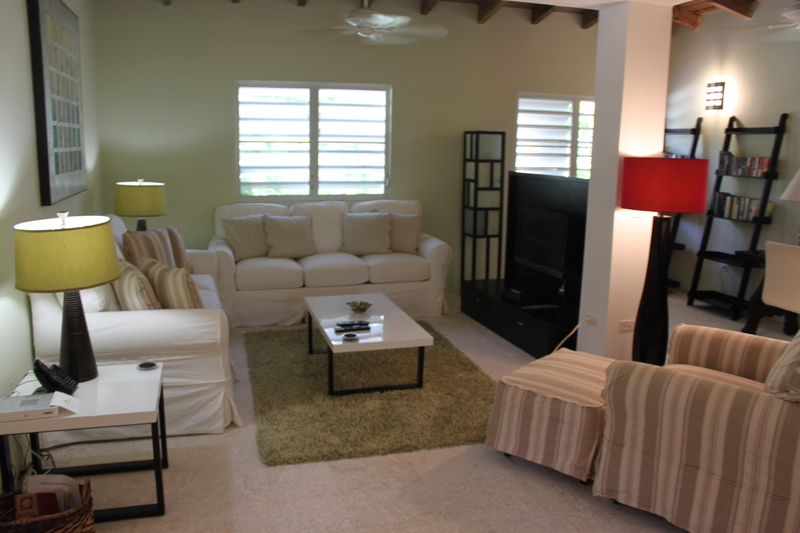 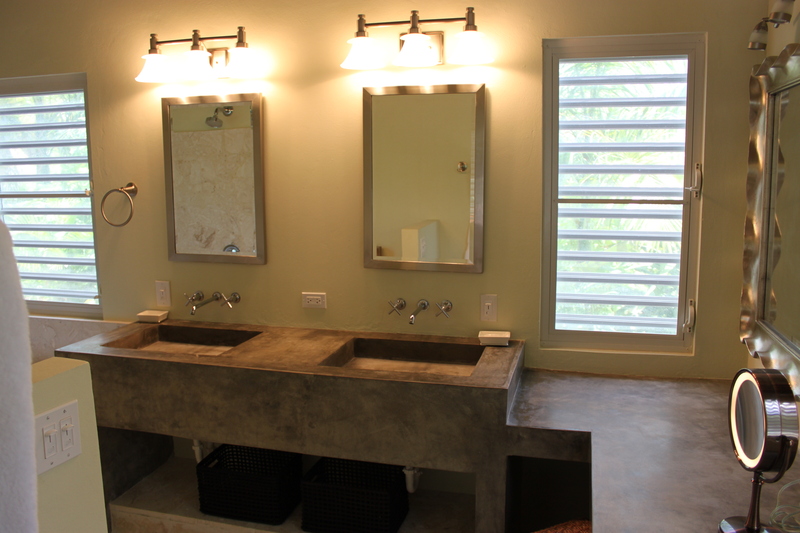 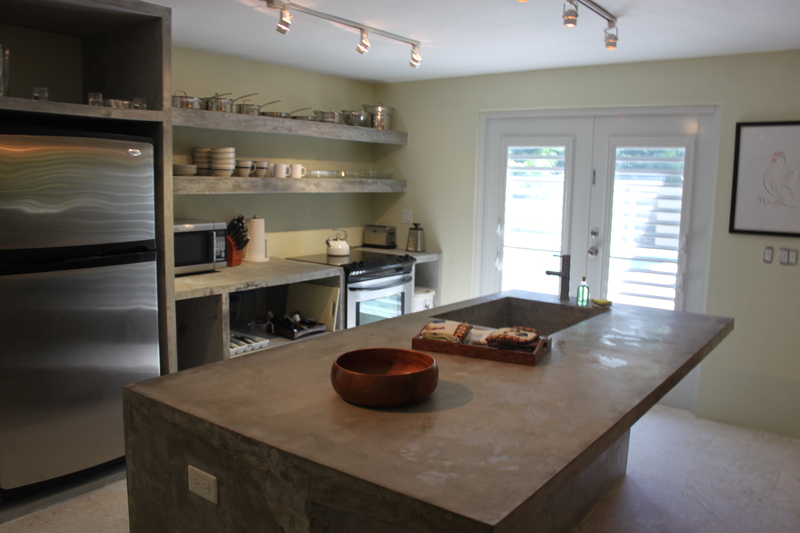 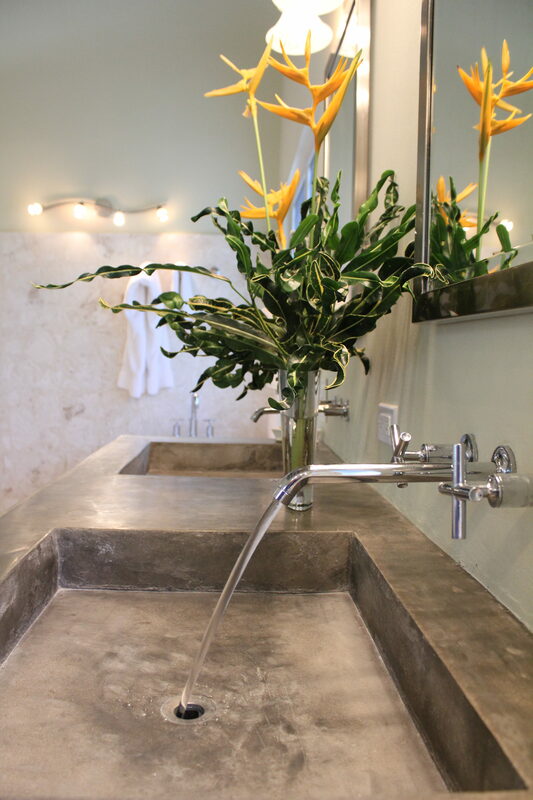 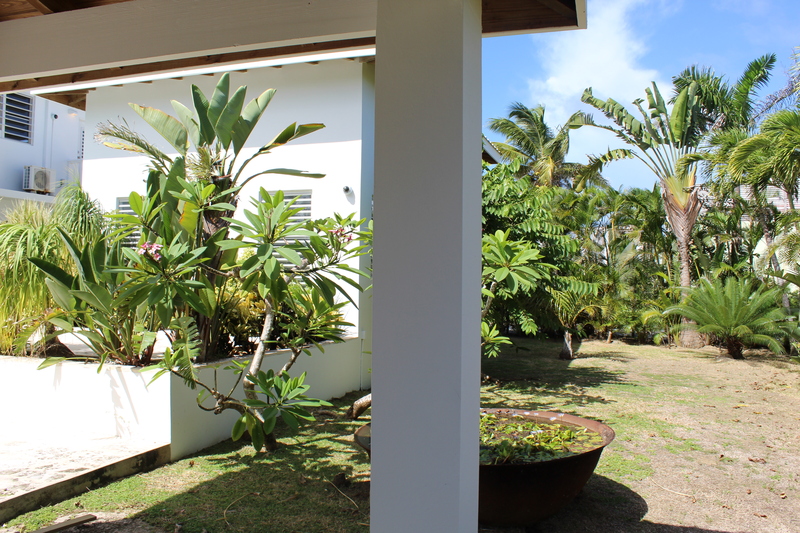 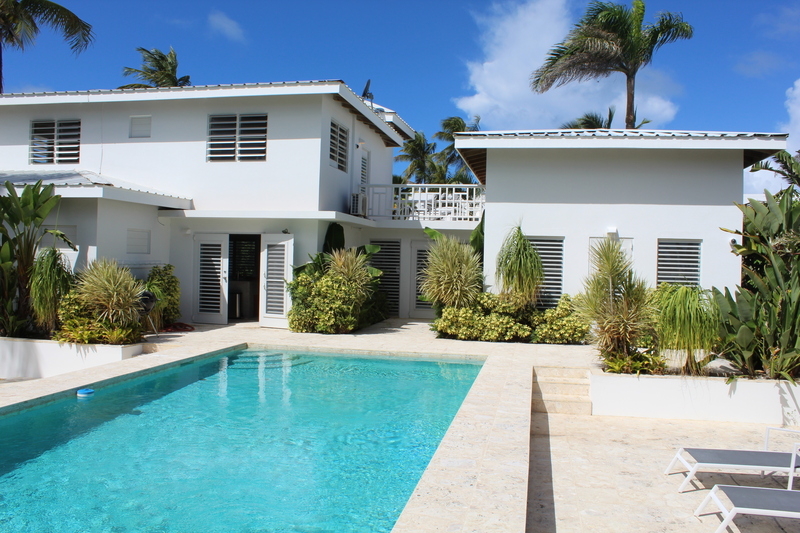 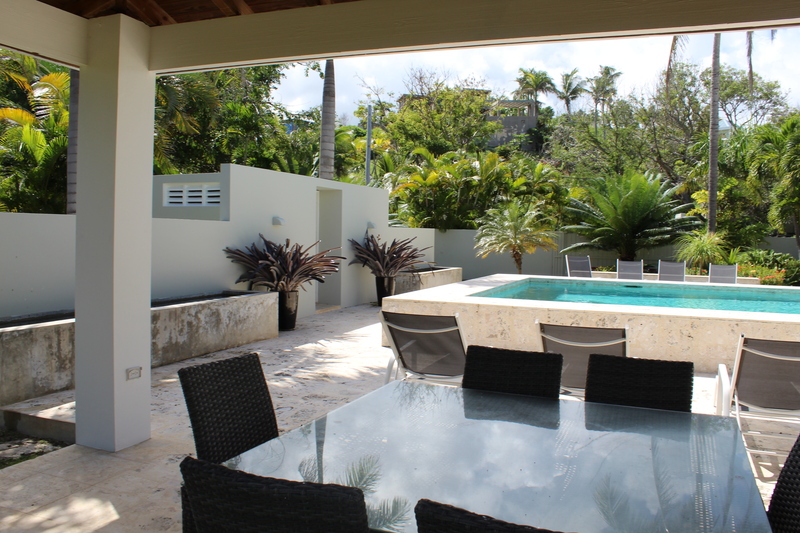 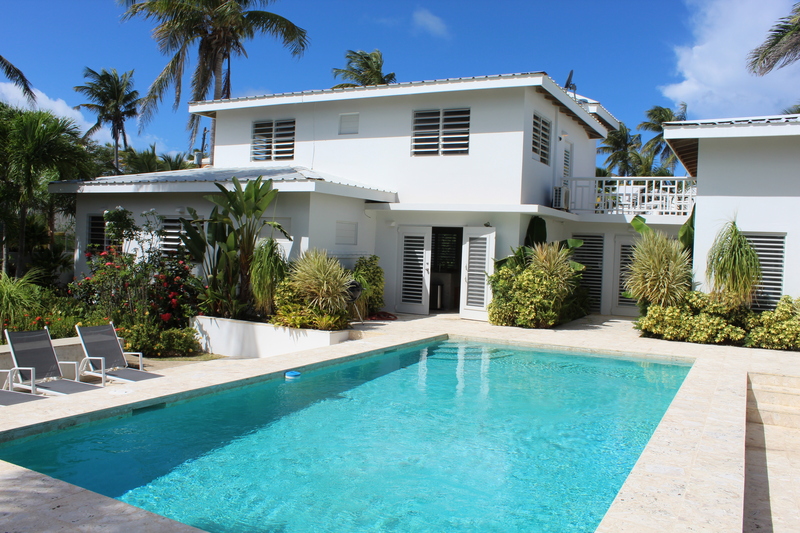 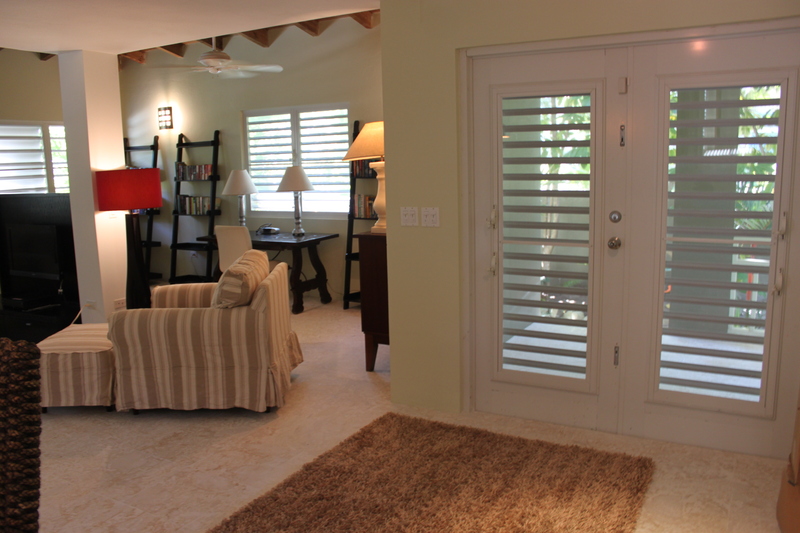 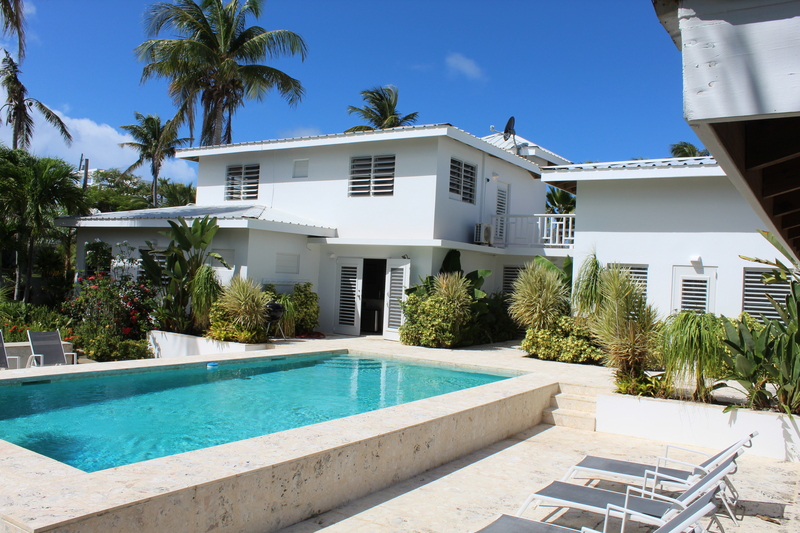 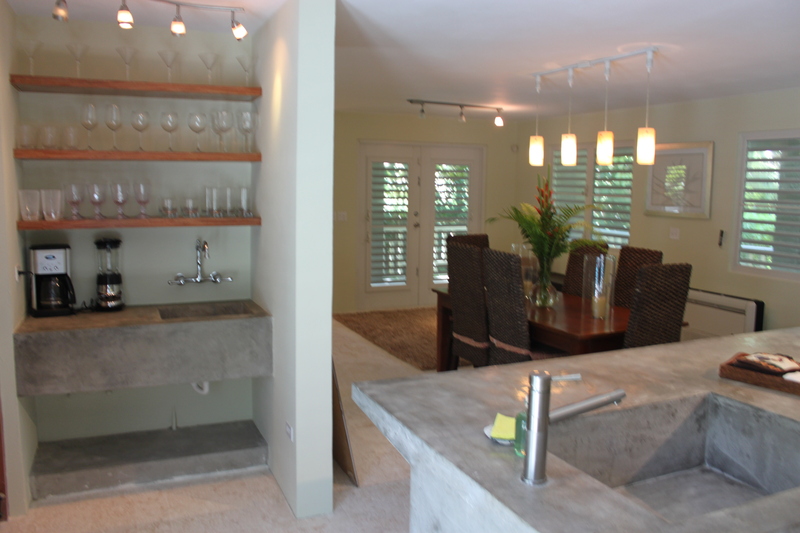 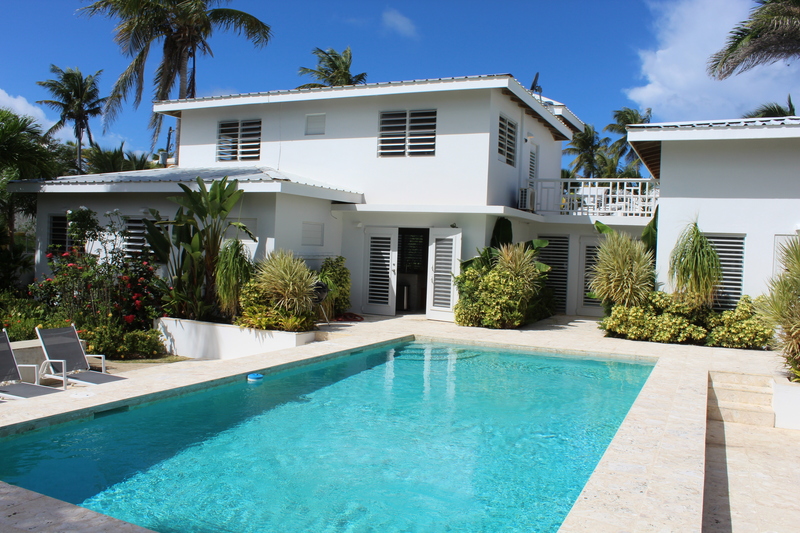 Meticulously maintained by Bravos Boyz Property Maintenance, the home is highly influenced by a mixture of West Indies and Vieques style architectures featuring metal hip roofs and highly polished concrete finishes. 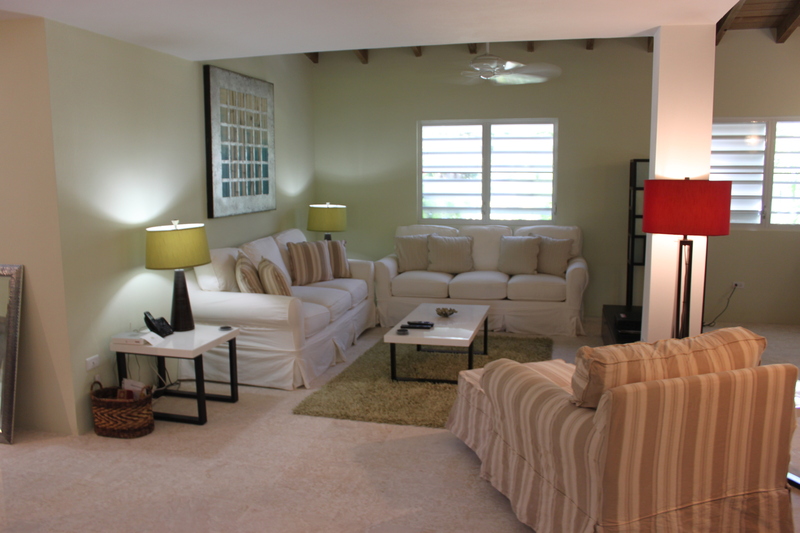 The estate features 3 bedrooms, 3.5 baths and is move-in ready. 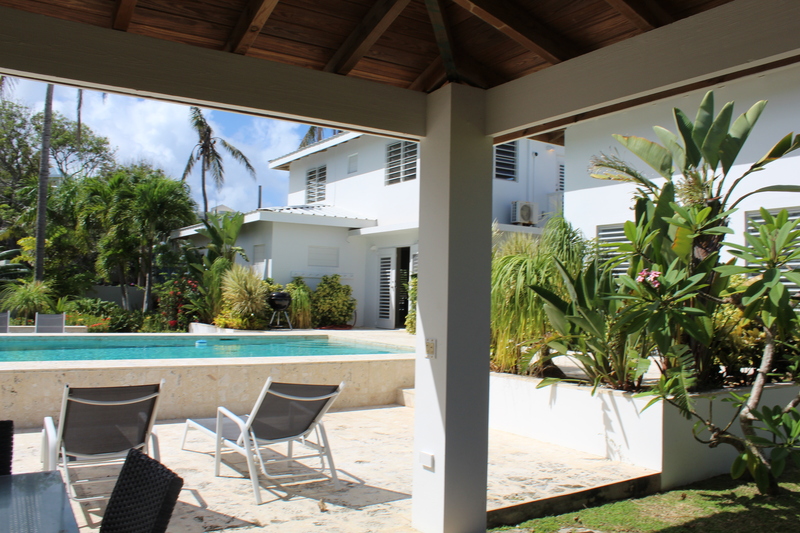 This very successful vacation rental has been professionally managed by Bravos Boyz Real Estate, with income figures available for qualified buyers. 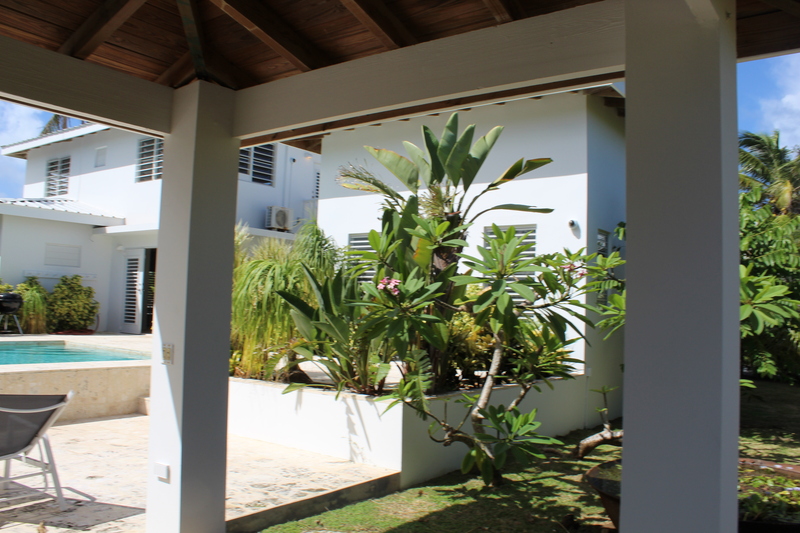 Sea Patch is luxury living with three en suite master bedrooms each with it’s own private balcony with ocean or pool views. 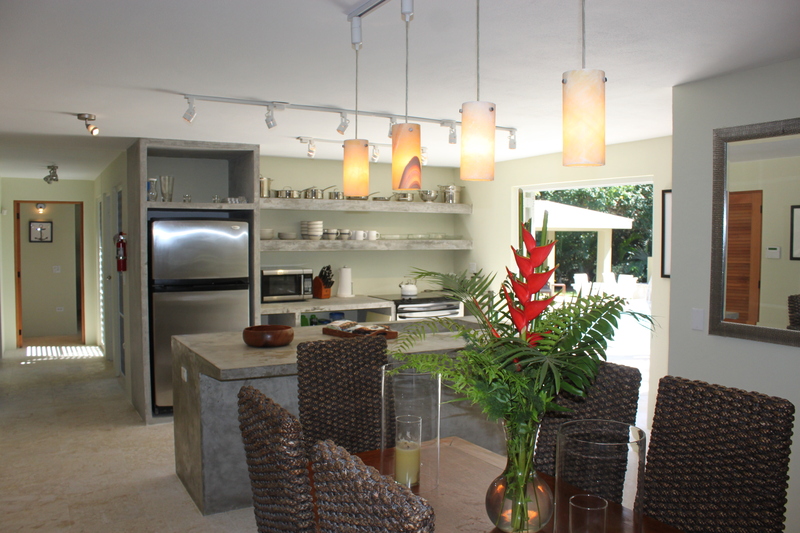 The main living areas are Contemporary, open living with a large polished cement center island, polished cement bar all opening to the living and dining areas. 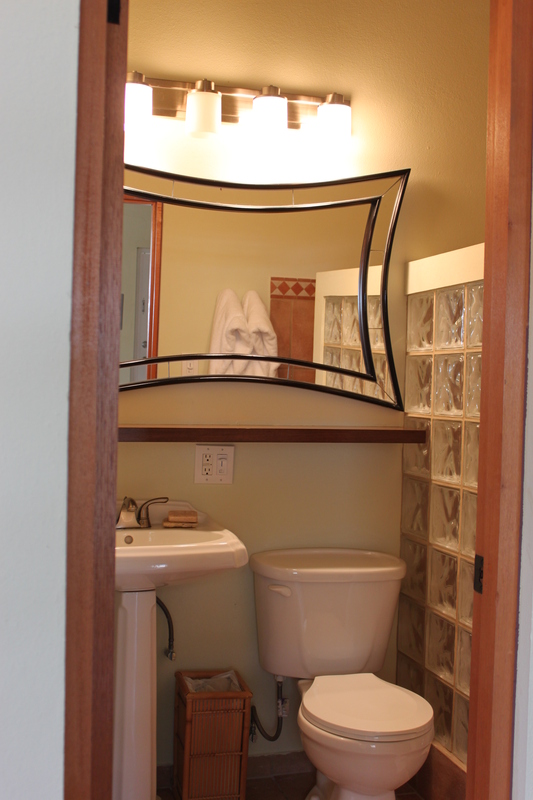 There is a fourth guest half bath nearby. 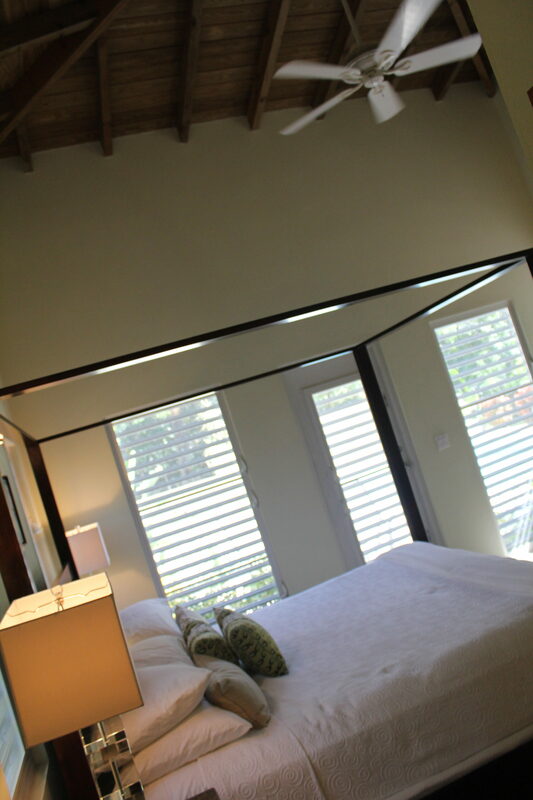 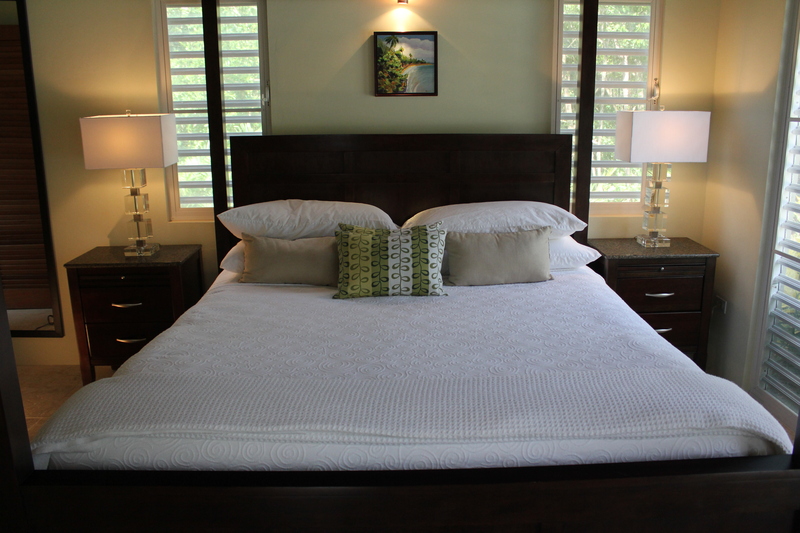 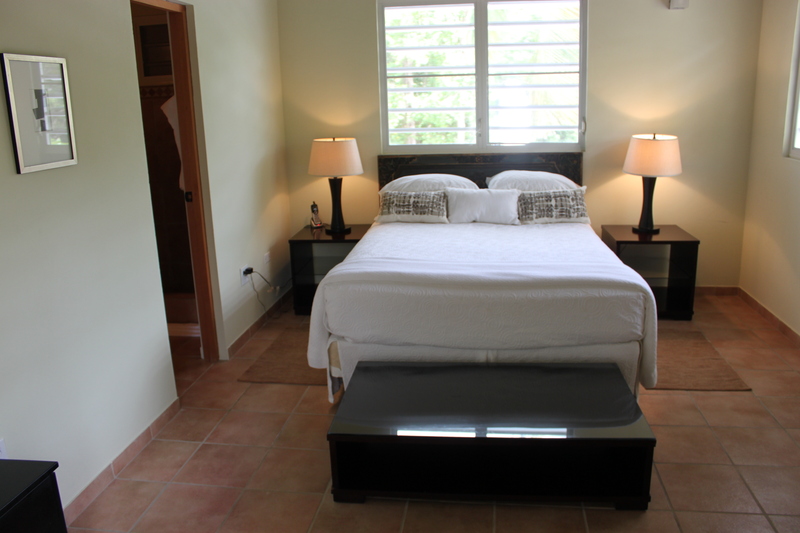 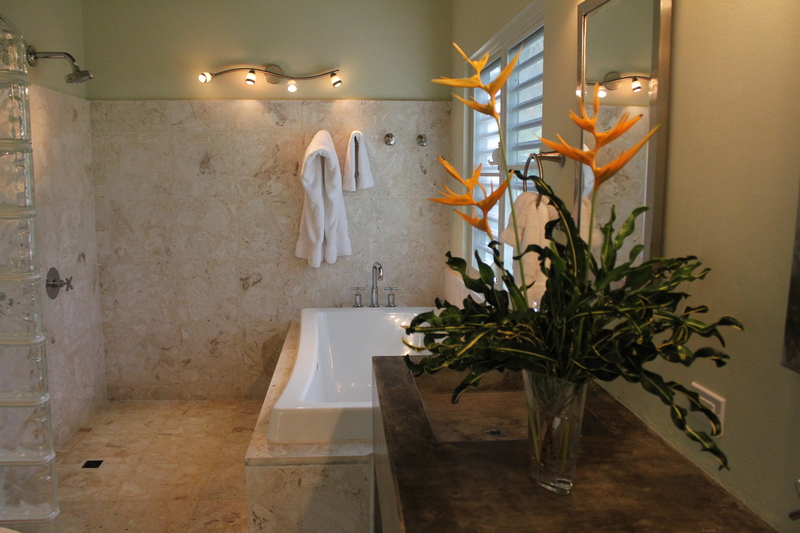 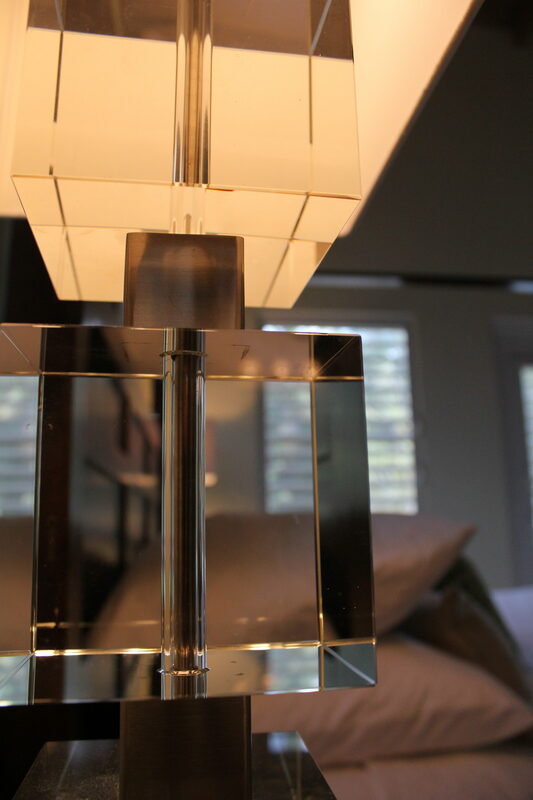 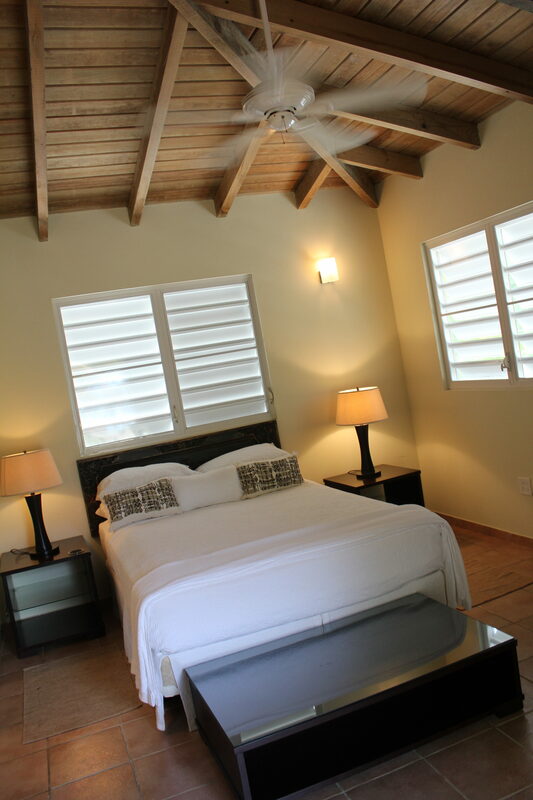 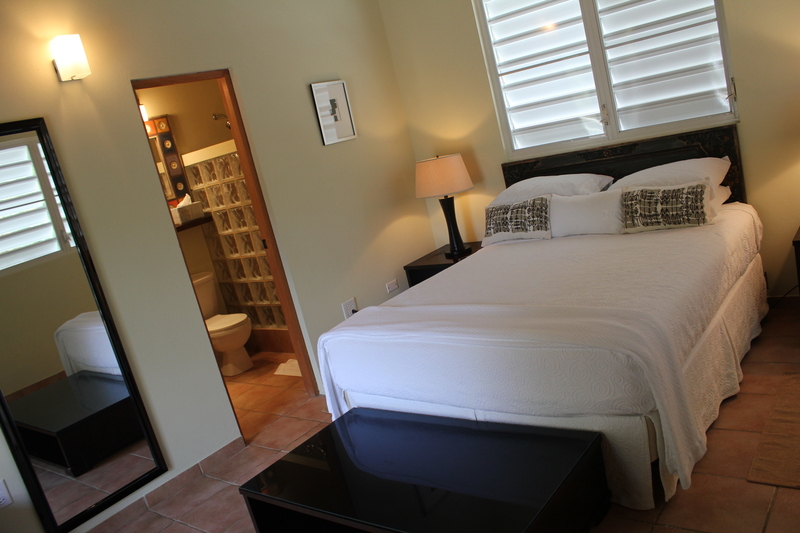 The main master suite is conveniently located in it’s own wing of the first floor and opening out to the pool deck. 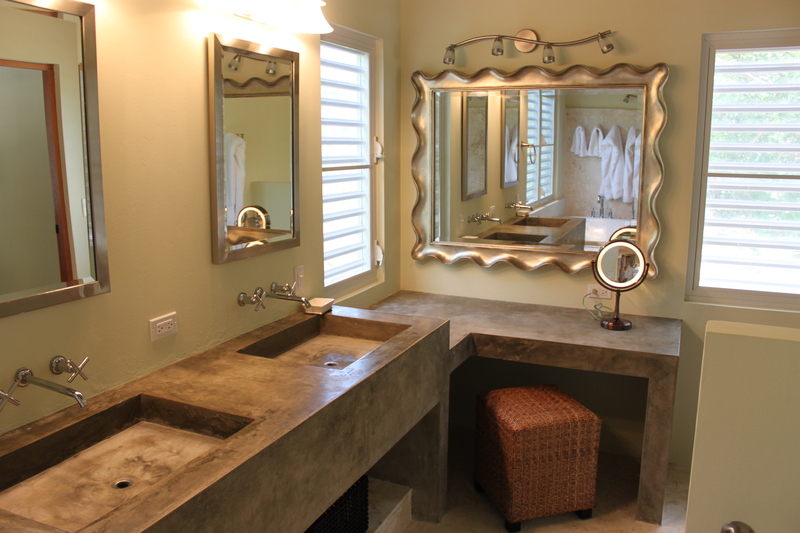 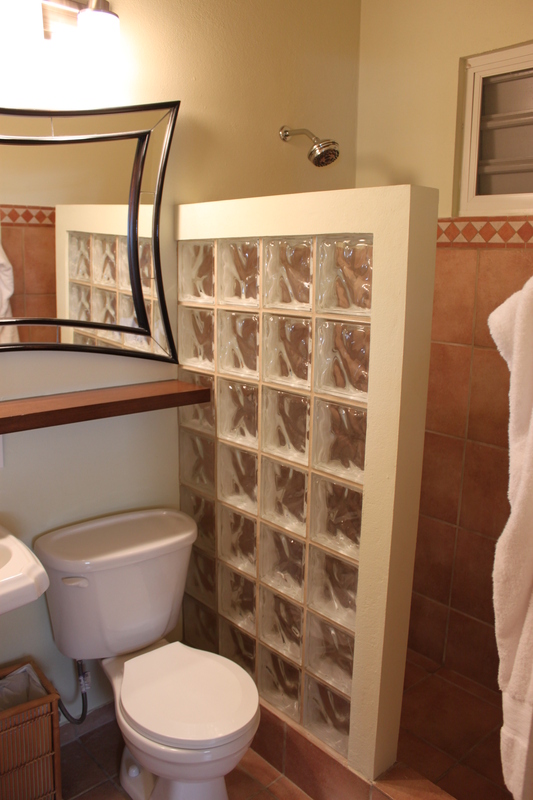 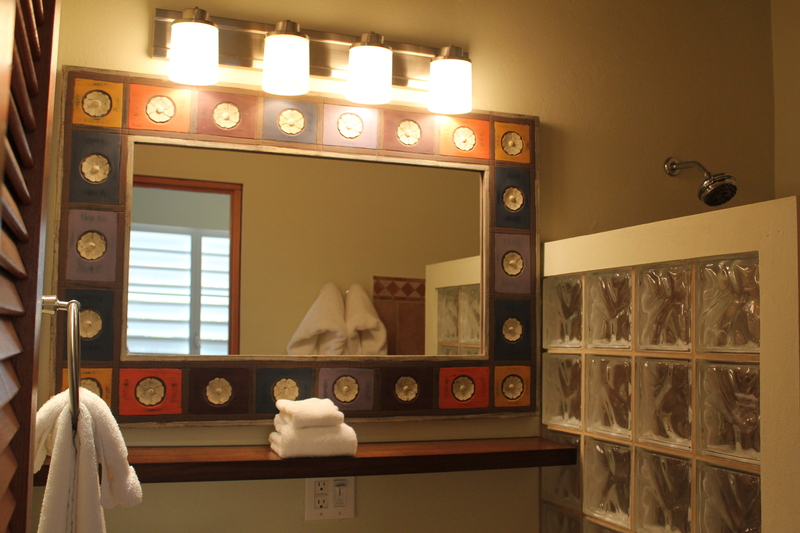 The main master bath has double sinks, double shower and a large soaking tub for two as well as a lower counter for sitting in front of a mirror. 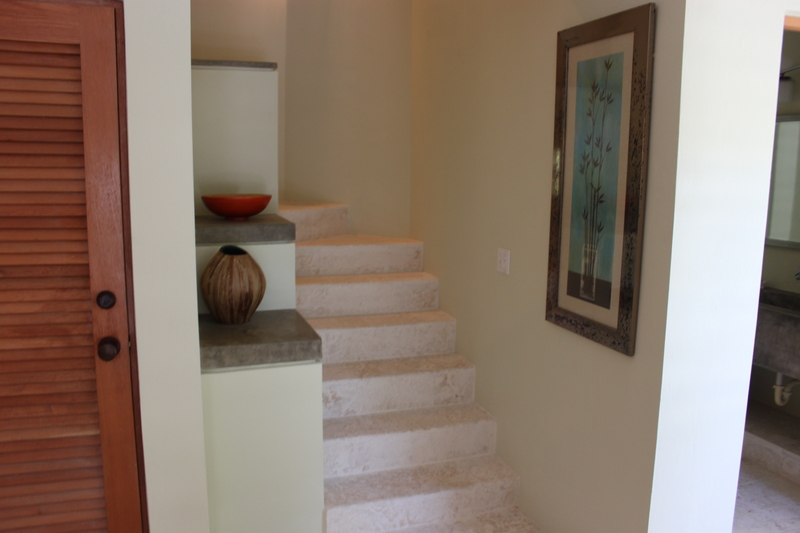 The master closets are built with Spanish cedar. 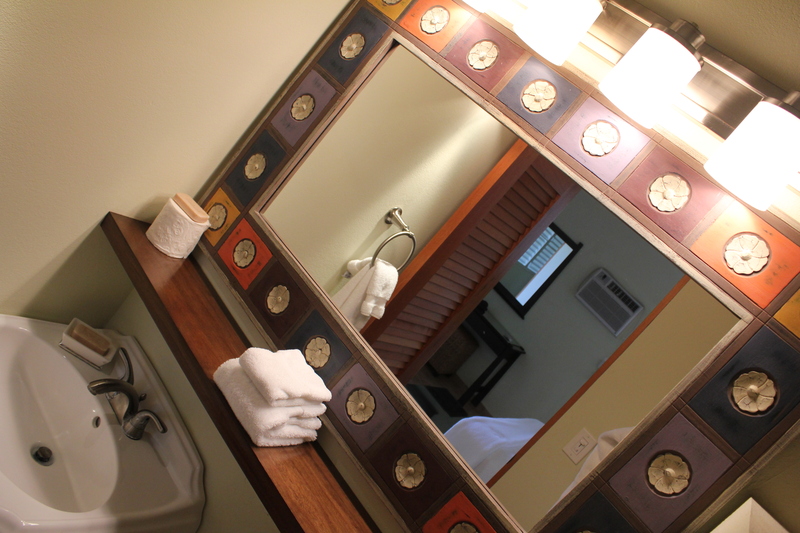 The laundry room is conveniently located in the first floor master wing. 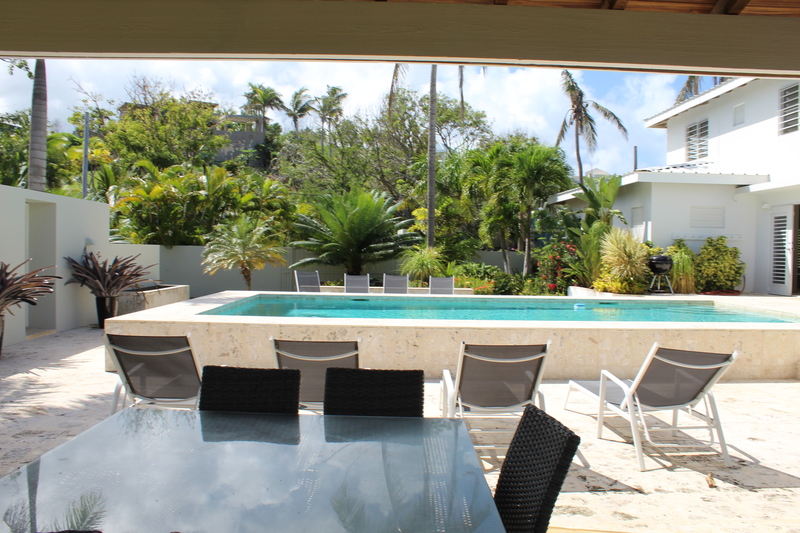 The overall property has Valcor Samcor hurricane/security windows and doors, coral stone throughout the first floor interior and exterior, security system with cameras that can be monitored from your smart phone, storage closets and a stunning in-ground pool. 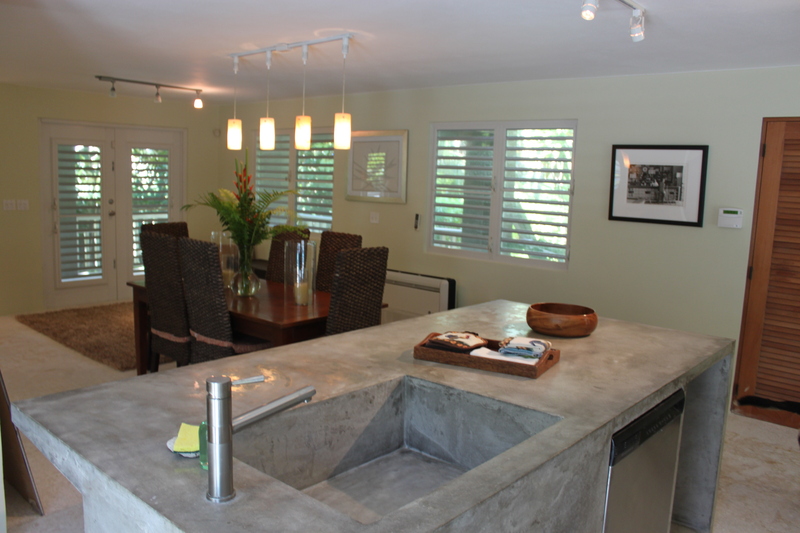 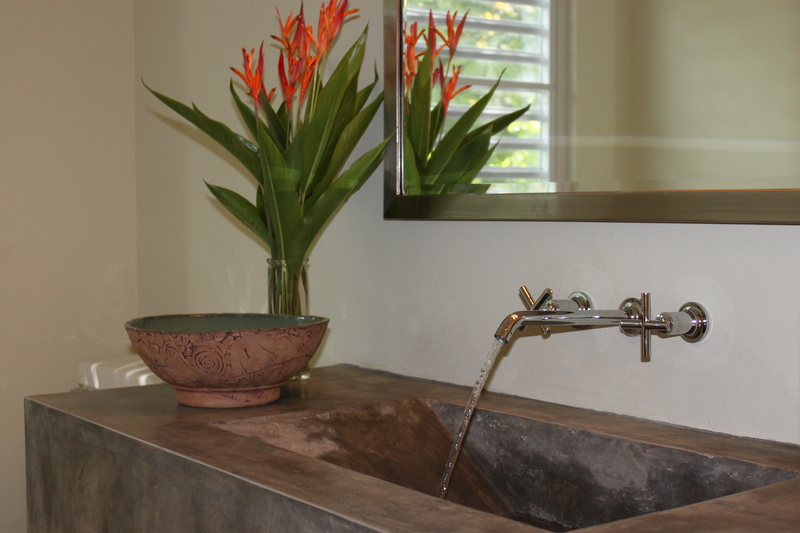 The natural coral stone stays cool to the touch in full sun. 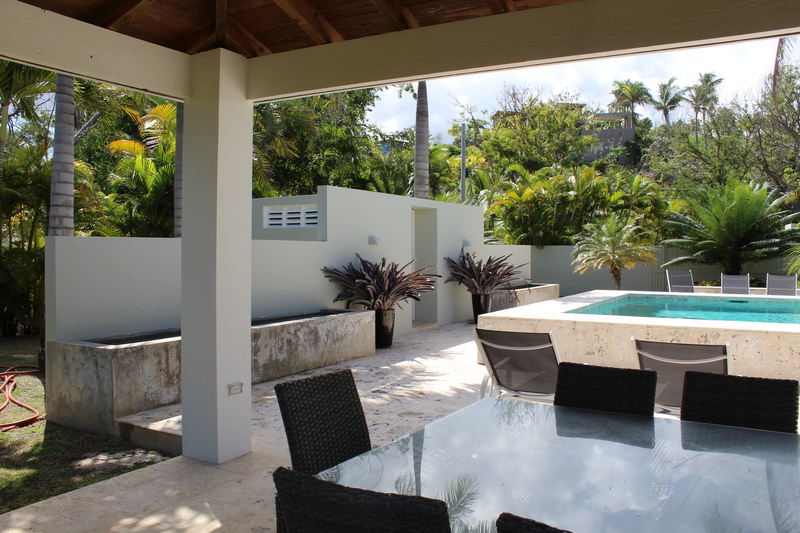 There is a bohio or covered outdoor lounge and dining area poolside and surrounded by lovely tropical gardens. 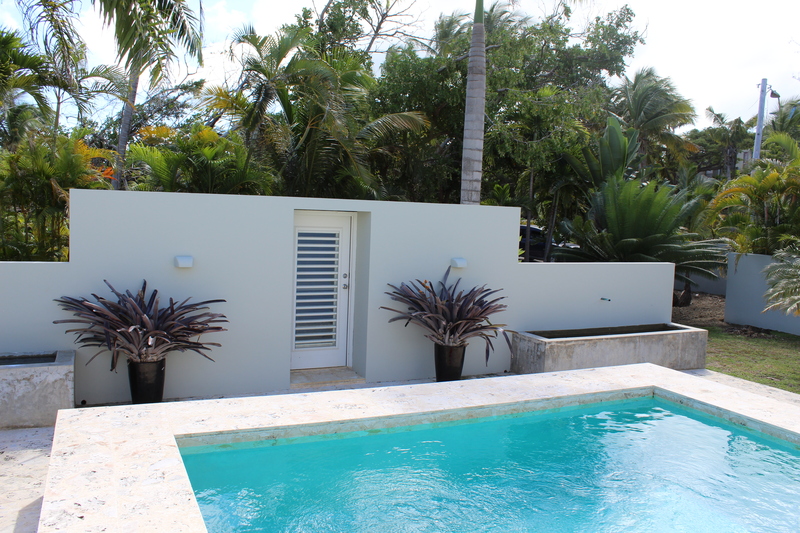 The home was redesigned by Kevin Cunha of Bravos Boyz and the enchanting gardens were designed by Thom Denton of Bravos Boyz. 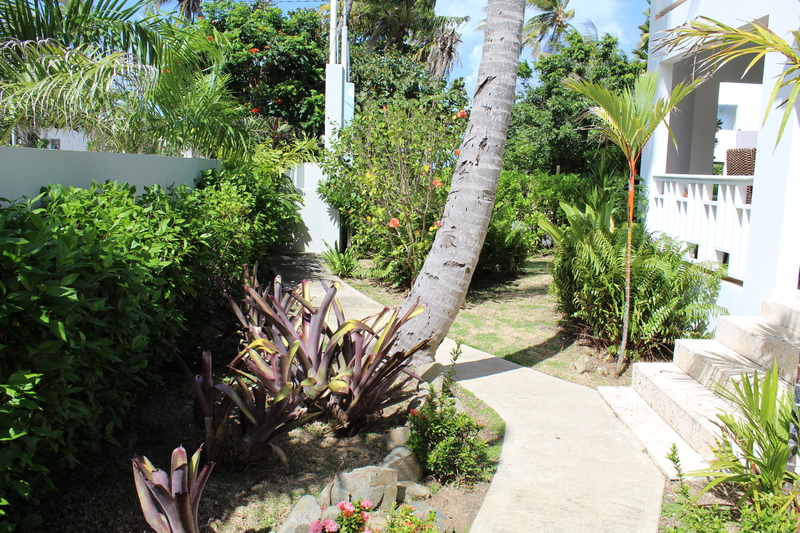 The gardens are a delight with orchids, multiple water features and lotus gardens, native Puerto Rican Royal Palms, Cycads and many blooming flowers. 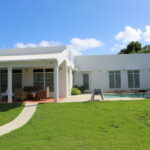 For you exclusive showing of Sea Patch call Bravos Boyz Real Estate and Property Management today.